Singapore is a small city-state yet it is teeming with countless tourist destinations you just can’t get enough of. The next time you go to the Lion City for a short vacation, make sure to include the following places to your must-visit list. 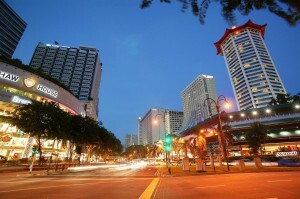 A 2.2 kilometre-long road in the heart of the city, Orchard Road is considered the city’s entertainment and retail pub. As the city’s main shopping street, you can find classy restaurants, coffee shops, clubs, and hotels. Here you can also locate the Istana, the official office and residence of the President. At night, you can find yourself delighting in the sparkling view of the malls that sprawl over. 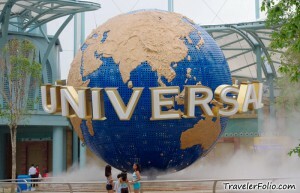 Universal Singapore is sure to entertain tourists of all ages with its seven themed zones namely Madagascar, Far Far Away, Sci-Fi City, The Lost World, New York, Ancient Egypt, and Hollywood, with each zone relating to a hit movie or TV show. You can enjoy the rides and shows. Plus, there are over 30 food carts and restaurants for you to choose from and give yourselves a satisfying treat. 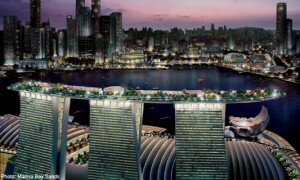 Singapore has the longest elevated swimming pool in the world, and it can be found in the Marina Bay Sands. Don’t miss out swimming in the ever-famous infinity pool at the SkyPark. Here you can also find rooftop restaurants, nightclubs, lush gardens, and an observation deck where you can have an aerial view of the city skyline and the Singapore Flyer. 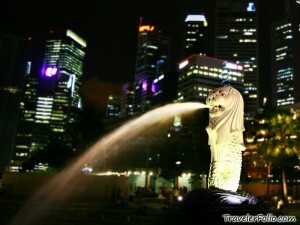 When some foreigners think of Singapore, what flashes to mind in an instant is a picture of the Merlion, the mythical creature resembling a fish’s body and a lion’s head—the well-known icon of Singapore. Here in the Merlion Park you can enjoy taking photographs of the surroundings anytime as the park is open 24 hours daily.